This thread is for gamemasters to post the results of the Shadowrun Missions adventure SRM05A-01: Chasin' The Wind. These results will be taken into consideration when developing future Missions and can effect the ongoing storyline. Please try and fill out all of the following fields for our records. Games run at gaming conventions, at game stores, or as part of a home campaign are all valid, so please share how your group did. Any posts discussing or asking questions about the adventure itself should be made in the main Missions forums. Did the runners install the Airport Matrix Relay as instructed by Quantum Princess, or did they install them some other way? If so, what way? Did the characters retrieve the data from Janus Industries? Who did they give the Janus data to? Did the runners install the Garfield Park Matrix Relay as instructed by Quantum Princess, or did they install them some other way? If so, what way? Did the characters retrieve Samantha for Nick and Juan? How did they get her to accompany them? What happened to the clones in the Janus Industries facility? Did the runners install the Airport Matrix Relay as instructed by Quantum Princess, or did they install them some other way? If so, what way? They installed the Matrix Relay as requested. Turns out the Covert Ops Pregen has Hardware, so that went much easier. 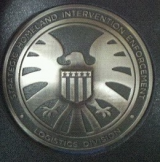 Did the characters retrieve the data from Janus Industries? Yes, after getting the codes from the commlink. Did the runners install the Garfield Park Matrix Relay as instructed by Quantum Princess, or did they install them some other way? If so, what way? They installed the Garfield Park Matrix Relay. Did the characters retrieve Samantha for Nick and Juan? How did they get her to accompany them? They talked her into joining them. It helped that they had freed the clones and had some of them for her to talk to. What happened to the clones in the Janus Industries facility? They freed all of the clones, then when they went to the market, they bought them all clothes and commlinks (not that they needed the Metalinks). One character even bought each of the other girls Guns. They named the clones after the colors that they ended up wearing. They arranged to meet Nick Rider in a more secluded location than the Pizza joint, as handing over 12 identical girls might be... attention getting. I think one additional question would be who did the runners give the Janus deed to... I think that's in the debrief page. They did, but they held Simon's feet to the fire to get a little more cash for em. They sure did, and they have the gaping bullet wounds from the Sniper (see below) to prove it. The Techno was having some real difficulty popping mag locks so they had to use some shape charges to open the tree. They did, but not without trashing some of the security drones in the Makers Collective when they hung around in Sam's apartment too long. They got in touch with Remo by leaving him a Matrix watermark and then cornered Sam on her way home.. Some nice facing, and bringing up Remo's name convinced her to go with them. They almost got fed to the Roach Spirit that had moved in upstairs. Yup, they tried to befriend a Roach spirit that I added in (it is "Bug City" after all) But they were all still inside the facility when SK moved in and secured the place the next day. They returned a few days later to try and pick up Sam's trail but found the place was all sealed up. The Roach (that's his name now) was put in to go splat, but has morphed into an NPC now. The runners took a shining to him and have discussed luring homeless people to him so he can feed. One Player spent his latest downtime picking up stray dogs to feed to him, once they find him again. After the dust up at the Makers Collective, the runners exited with Sam only to find a group of Horde bikers waiting for them by their Van and Bikes, one bike got severed in half by a troll with a Sledgehammer. That's the price you pay for glitching a Con roll. I had a lot of fun running the mission (Thanks Dr. Meatgrinder), and I think the players had a good time too. We are jumping into Mission 2 this week. -They did, and gave it to Simon. -Yes he did. Our stealth/hand-to-hand guy took him out without killing him. -Nothing. They were still there when the team left. -Well, our team face came *thisclose* to winning Sam's trust. He just pushed it a little too hard. A slightly softer touch and I would've had her going with the team without a fight. They did not encounter him, so he survived. They did get her, they were able to talk her into accompanying them, they revealed to her that they knew she was a technomancer, and knew she had escaped the lab, they also described the place and promised not to take her back there. The party was split on freeing them, or blowing the lab (I know, WTF?!) they decided to leave them alone. The team had NO matrix support whatsoever, I played it as the dwarf had left his dataterminal open and his access codes punched in but had not hit enter yet (so no login timeout). There was a set of nanopaste trodes that they were able to apply to one of themsleves to browse the host and find the data they were looking for. Yes, it was given to Simon Andrews. Sam was retrieved. She was given food and spoken to very smoothly, in addition to taking out some thugs at the maker collective who were about to mess with her. Out technomancer decided to tell Nick Ryder to investigate the clones that were left at Janus. Home campaign, North Bay Area, CA. Yes. Given to S. Andrews. Yes. Face was a technomancer which helped resonate with Samantha. The runners left them as found. * Relatively new group to playing 5th edition. * The PC technomancer set off a loud fire alarm at Midway that brought in gangers who stole the runner's van while they were working on the relay. * A lone fly spirit found its way into the Janus Industries facility. * The PC technomancer encountered the matrix gestalt of the clones as a little girl looking in on the hamster cage. * Episodes 35-40 of our podcast record the mission (url in tag-line). * The PC technomancer tried to retrieve files on the gestalt, but was blown out of the host by a data bomb. I just started listening to the first episode. I love the lead-in to get the characters to Chicago. I've GM'd Shadowrun on and off for a few decades and this was my first time as a player (and the GM's first time GMing Shadowrun and relatively new to Shadowrun in general). 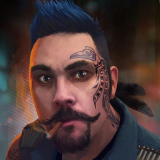 I loved the mission; it hit so many This Is Shadowrun! buttons of fun for me and the fact my character nearly died twice just made it a whole bundle of awesome for me. Thank you for the mission!